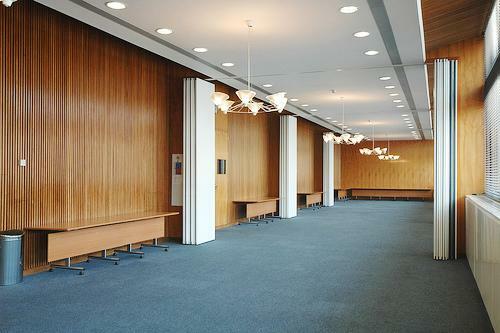 A suite of four interconnecting rooms adjacent to the Council Chamber. Rooms 1-4 on the 5th floor have been renovated into stylish contemporary meeting rooms, with original 1950s wood panelling. 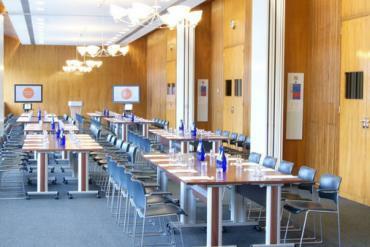 Situated across the foyer from the Council Chamber, they make ideal break-out and catering areas for events taking place in the Council Chamber, or they can be booked individually for smaller meetings and events; easy-to-remove partitions allow them to be converted into a larger space if required. 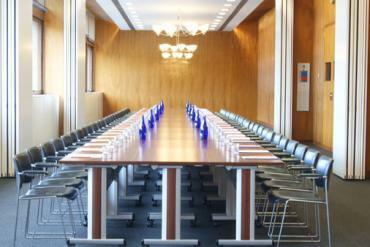 All meeting rooms have natural daylight, with electric blinds if full blackout is required. 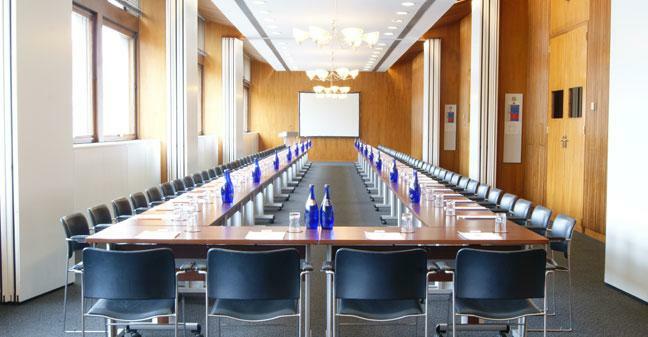 Congress Centre is in an unbeatable position minutes from Tottenham Court Road Underground and a short walk from Oxford Street, Covent Garden and Soho. The venue represents exceptional value for money - your budget will go further at Congress Centre without compromising on quality. 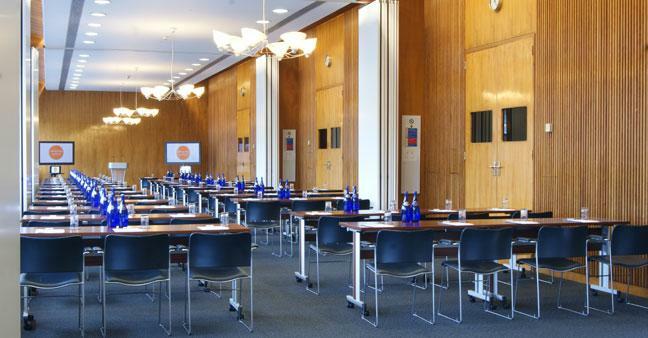 With 13 different conference and event spaces, most with natural light, you’ll be hard-pressed not to find a suitable room for your event, whether you’re holding a small meeting, a conference for 500, or a cocktail reception for 850. NEW FOR AUTUMN 2017 - the venue has launched The Congress Suite, a brand new space ideal for exhibitions when booked in conjunction with large events in Congress Hall. 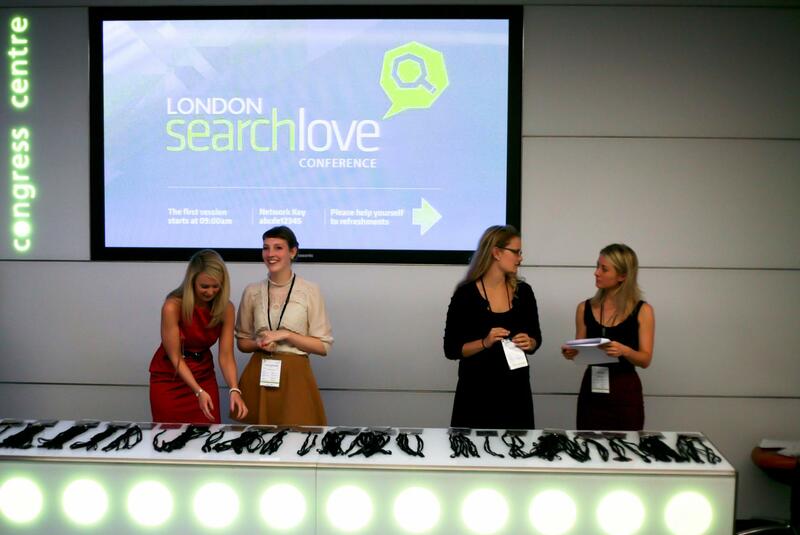 The venue is set within an architecturally renowned 1950s’ modernist building. 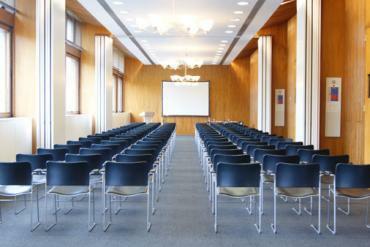 Its contemporary refurbished spaces have a quirky vintage vibe and provide a striking backdrop for any event. Congress Centre has experienced technicians and all the hi-tech gadgetry necessary to produce an event with maximum impact. HD projection, giant screens and exceptional sound systems are just a few of the many facilities you can expect. Congress Centre offers a dedicated account management service to assist with every aspect of planning your event and, with a wide range of inventive menus to choose from, the venue’s resident chef will prepare delicious food to suit all tastes and budgets. 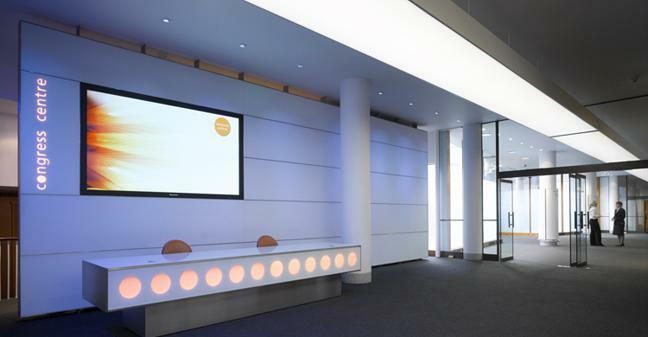 This gem of a venue has hosted events for companies including Apple, Barclays, Coca Cola, John Lewis, Microsoft and Yahoo!, as well as public sector organisations such as the NHS. Repeat bookings are a high proportion of Congress Centre’s business.